Genetic research has revealed the “unique and mysterious” Orkney vole – not found anywhere else in the UK – originated from Belgium over 5,000 years ago. 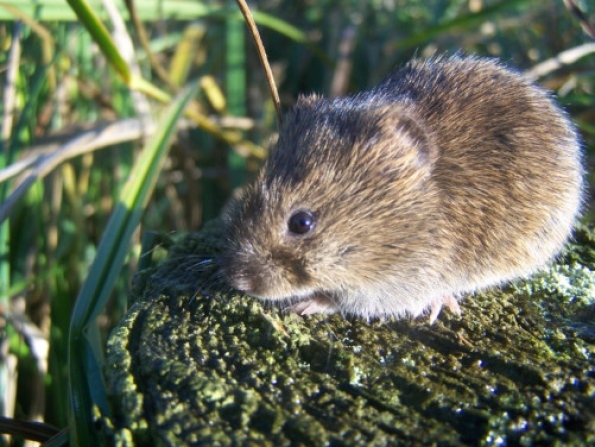 An international team of scientists made the discovery that farmers most likely brought the the European common vole to the shores of the islands as early as 3,000BC. While the common vole has evolved over the centuries, it is believed its Orcadian cousin is how they would have looked five millennia ago. The extensive study was carried out by researchers at the Universsity of Aberdeen and Cornell University in America. Professor Keith Dobney, one of the co-directors of the research, said: “The Orkney Vole - a subspecies of the European common vole – is found nowhere else in mainland or island UK. “Yet the extensive archaeological record from Orkney has produced thousands of their bones and teeth, suggesting that they most likely arrived with early farmers or through Neolithic maritime trade and exchange networks. In one of the largest studies of its kind - the results of which are published in Molecular Ecology - the team of scientists used a combination of modern and ancient DNA and novel morphological techniques to answer the longstanding question regarding the likely European origins of the Orkney vole and, by association, the world famous Neolithic culture of Orkney. Dr Natália Martínková, who carried out the genetic studies on living common voles from continental Europe and Orkney, said: “Although our modern DNA results did not reveal exact genetic matches with any populations we sampled across continental Europe, the closest were from populations living today on the coast of Belgium, the likely origin for the original Orkney populations. Professor Jeremy Searle, co-ordinator of the research from Cornell University, added: “The research provided us with a totally unexpected result. The genetic variation in all western continental European common voles was shown to be much less diverse than those modern populations on the Orkney Islands - completely the reverse of what would be expected for a normal/traditional model of island colonisation and evolutionary history. Analyses of ancient DNA from numerous archaeological remains of Orkney voles supported the likely coastal Belgian origin of the ancient voles, and confirmed the same genetic diversity seen in modern Orkney voles was present in the earliest dated archaeological vole specimens from the islands - some 5100 years old. Finally, the two dimensional shape analyses of the first molar (undertaken by Dr Thomas Cucchi) revealed a pattern of distinctive shape change on the different Orkney islands from earliest introduction to the present. This new research confirms that common voles were introduced to the Orkney Islands soon after the arrival by sea of early Neolithic farmers and were most likely picked up on the Belgian coast and transported directly to Orkney. Why common voles were not introduced to the mainland UK, or any of the other UK offshore islands apart from Orkney, remains a mystery, as does whether they were deliberately or accidentally introduced by humans. But the team’s data suggest that prehistoric seafarers directly linked the famous Neolithic culture of Orkney with their counterparts in coastal continental Europe. The much greater genetic diversity of modern and ancient Orkney voles suggests that either large numbers were introduced at once or that continuous introduction from different continental European populations occurred. It also reveals that the Orkney vole is perhaps more unique than previously thought, with modern populations appearing to still retain a number of the same genetic lineages that were present in continental Europe at the end of the last Ice Age. This diversity that has been lost on the mainland over the last 5000 years - through boom and bust cycles brought about by human impact on their preferred habitat - makes the Orkney vole a “Genetic Ark”, retaining genetic material that would otherwise have vanished.